It makes absolutely no sense to purchase an expensive pair of binoculars if you don't know how to keep your binoculars safe. Take care of your binoculars and your binoculars will take care of you. The following are some helpful hints and tips to help you maintain your binoculars. 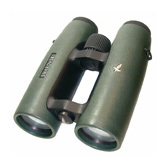 If you don't have binoculars or you are planning on purchasing, buy binoculars that can withstand the punishment that you desire based on the type of use. For instance, if you are in water situations, make sure that the binoculars are waterproof, not water resistant. If you think that is a chance that your binoculars will be dropped due to your type of activities, make sure it will take abuse. Find out how much abuse your binoculars can withstand. Call the manufacturer and describe the situations that you might be using your binoculars for and learn what abuse it can and can not take. Once you understand how the binoculars can be broken, avoid using your binoculars during those situations. Always place the binocular strap around your neck even if you use a bino strap. Most binocular accidents occur when the binoculars are picked up rapidly and held with one hand without the strap around the neck. There are obviously situations that will occur when you will not have time to place the strap around your neck or else that moment will not be there to see. Always make sure that you always have a good grip on the case or the strap when you are handling your binoculars. Check routinely on the wear and tear of the strap and whether all parts of the strap are tight enough. Always check the clips or locking device that holds the binoculars to the strap. You should always keep your binoculars in a padded case when it is not being used. Something always seems to happen to the binoculars when the binoculars are not put back into the case. Take a minute and put it back when you are through using it for the day. Do not leave your binoculars in the hot sun or in the trunk of your car for long periods of time. The heat will potentially cause harm to your binoculars. Read the manufacturers's recommended method on how to clean the lenses. Always attempt to blow off any visible dust or dirt from the binocular lenses before brushing or rubbing anything on the glass of your binoculars. Next, fog your binocular lens with your breath and use a lens cleaning tool like a Lens Pen or a recommended lens cleaning cloth or tissue to gently wipe off any remaining marks or spots from the lens of the binocular. Do not attempt to clean the lenses with a lens cleaning cloth or tissue when salt water is on the glass or your lens might become scratched. Place the lens under lightly running water first (depending whether the binoculars are waterproof or water resistant). No matter how simple a repair seems to be, let a professional do take care of the problem. You can extend the life of the rubber eyecups with an occasional wipe of a vinyl or rubber preservative on the rubber eyecups. If your eyecups roll down, always roll them up when you are done using your binoculars. Note: Do not paddle a kayak with your binoculars strapped around your neck. It is an extremely dangerous situation if you happen to turn over with your spray skirt on and the binoculars around your neck. I keep my binoculars in my PFD pocket with an 1/8" bungee attached to the inside of the pocket. If I happen to drop the binoculars in the water, it is still attached to me. There is little chance that the bungee could wrap around my neck as the strap is too short. Have fun with your binoculars and don't forget to take care of your binoculars when you return from your hike.